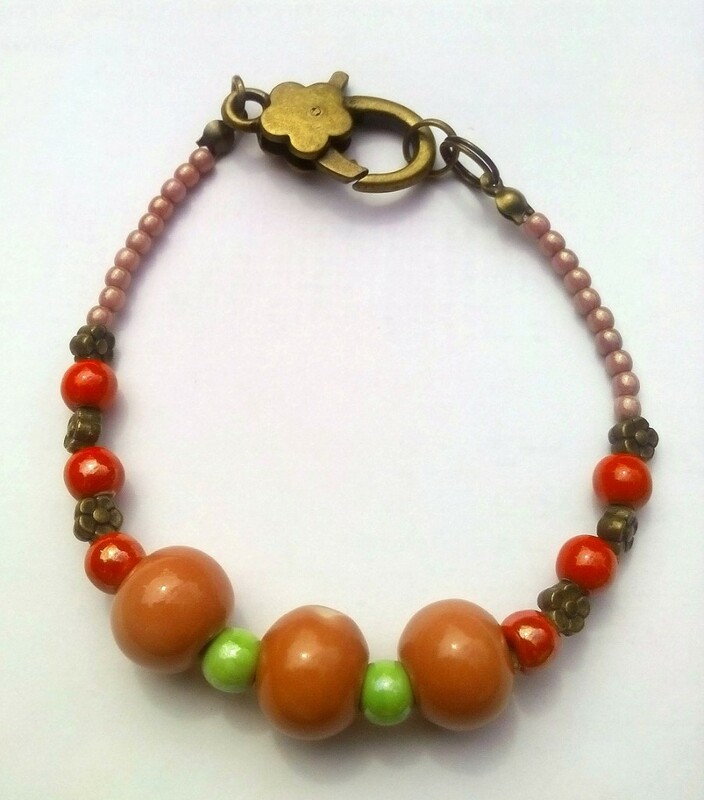 Pastel pink, lime green and vibrant red ceremic rounds, bronze metal flowers and pale pink druk beads. Bronze tone flower trigger clasp. Length approx 8"